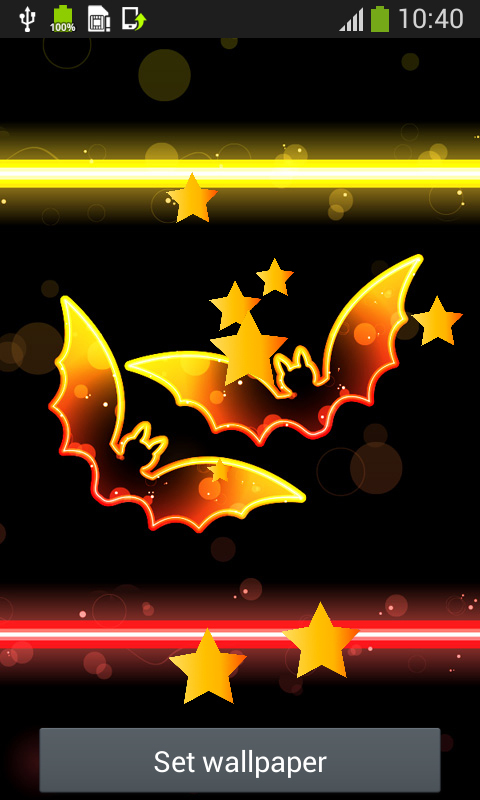 The spooky and frightening pictures of the scary creatures from the night are now available in the latest Witch Live Wallpapers. You can download them on your smartphone or tablet and turn it into something spectacular and cool. 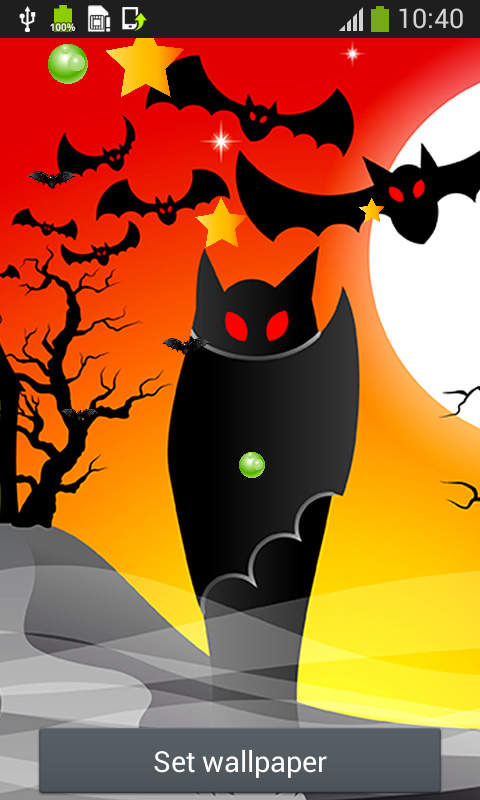 Have a blast with the screaming jack-o-lanterns at the graveyard. 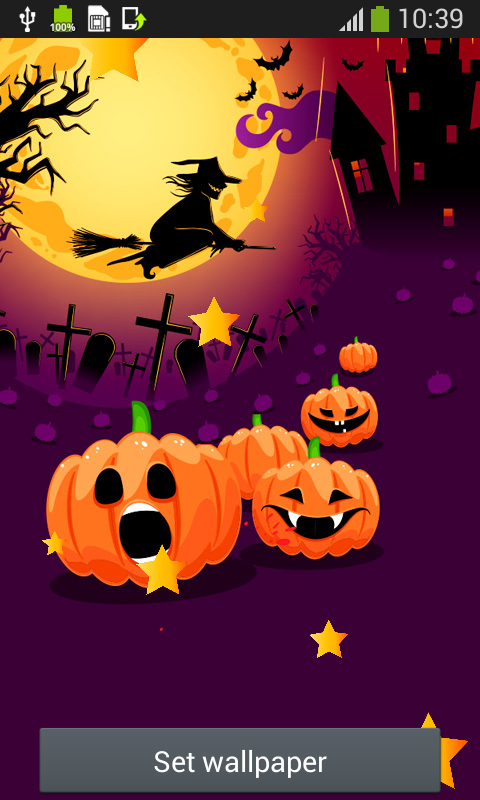 Download free Witch Live Wallpapers app and celebrate Halloween with your friends. Have the spooky photo of a hand coming out from the gravestone as your background and frighten your friends on a special day. 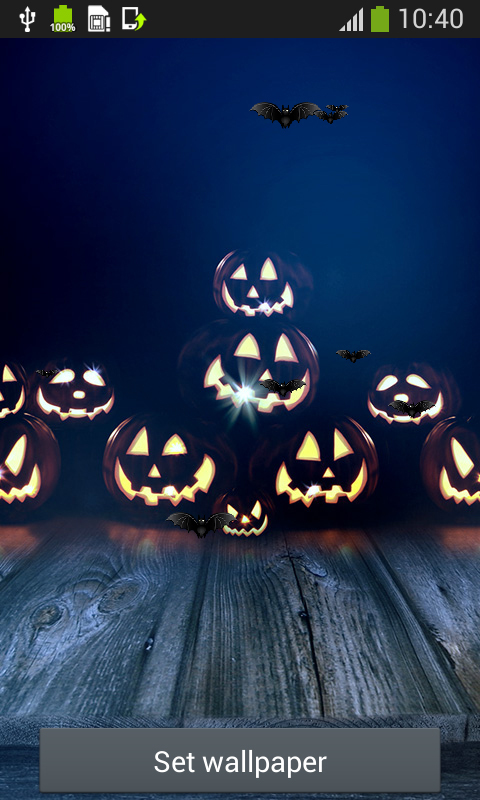 The lighted carved pumpkins coming towards you with their evil laugh will let you know that it is time to go for trick or treat. Don’t be afraid to spend the night in a haunted house that has a creepy graveyard next to it. But nevertheless, who knows what happens there during the night. 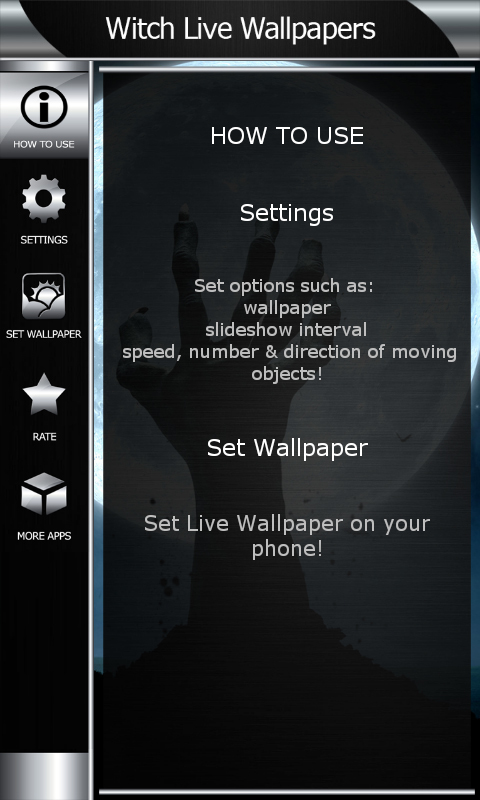 With top Witch Live Wallpapers you can have the cool moving effects on your device. There are many to choose from.